Impersonal, fragmented, context-free writing (I can’t bring myself to call it narrative) overrun by egregiously bad metaphors and similes. I don’t know how something can feel so self-indulgent and still give you no indication who the author is. 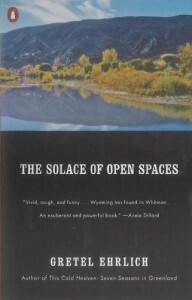 Thankfully, there were brief moments that managed to speak to the nature of Wyoming and its people, and it was a very short book.